This Holiday season enjoy quality family time during an activity-packed Christmas and New Years with folkloric dances, fiestas celebrating Mexico’s Bicentennial, a Christmas circus and more. Get one night free at the oceanfront all-inclusive family-friendly Velas Vallarta. No kids? 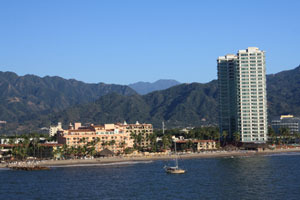 Same deal at Casa Velas, an adults only boutique hotel and ocean club on the Marina Vallarta Golf Course. Both properties welcome Texans (fly direct from Houston) and will pamper guests with the best of everything.